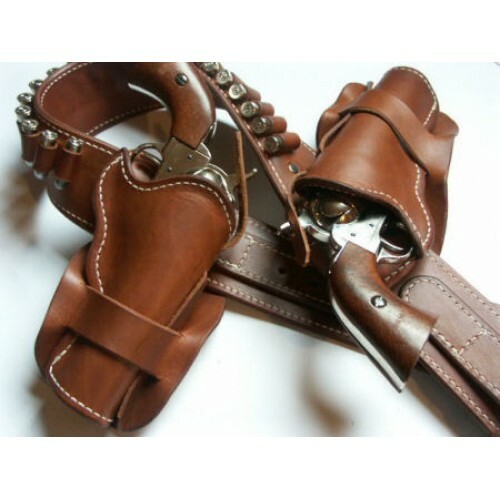 The Vaquero Mexican Double Loop CrossDraw western leather gun holster and gun belt is an authentic pattern of the Mexican Loop Holster, popular in the late 1800's. 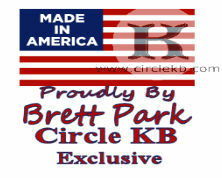 Authentic Mexican Loop holsters are cut from one piece of leather. 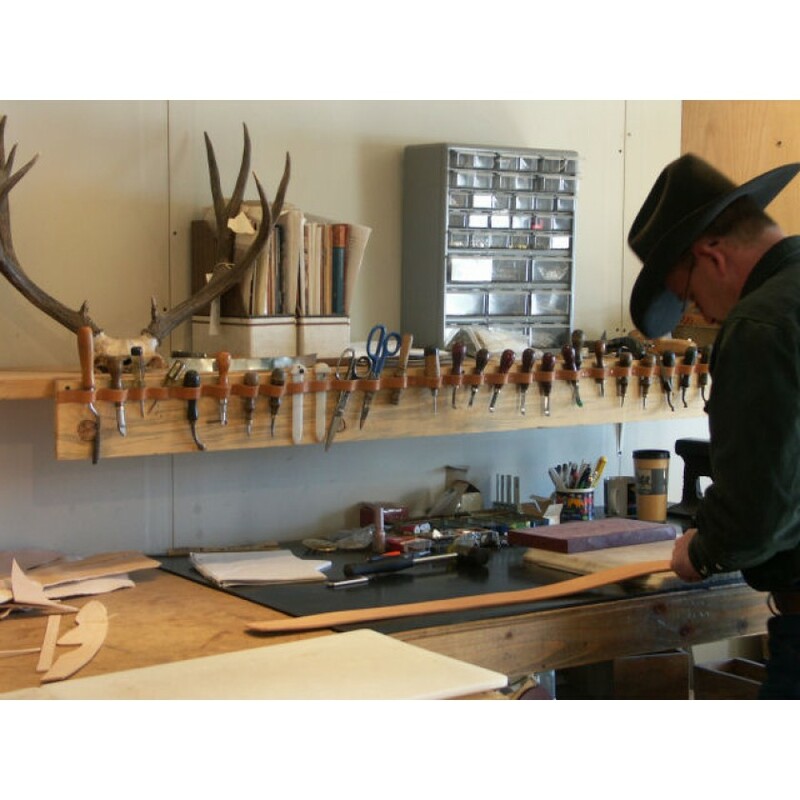 Originally made in the late 1800's from worn saddle fenders which created a neatly woven pocket for the gun to ride. The single most popular and practical holster riggings in the 1800's and early 1900's was the Mexican Loop. For reasons of survival, in the rough turn of the century Southwest, Arizona Rangers were some of the first to try to develop an improved fast-draw version of the Mexican Loop design. For these gunmen and horsemen, the height at which the gun was carried was critical. The six-guns' hammer was generally about even with the top of the cartridge belt, which was strapped on just below the trouser belt. This positioned the gun in just the right spot to provide a good combination of a smooth, fast draw and riding comfort. May be ordered in right or left hand crossdraw or double strongarm.